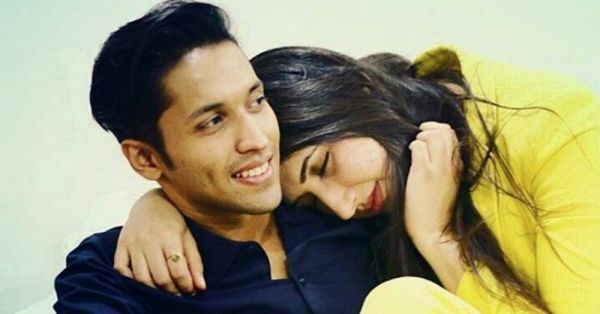 #Aww: Durjoy Datta Planned A Dream Proposal - And She Said YES! After which he updated his Instagram account with the MOST adorable candid picture of the couple alongside an equally (if not more!!) adorable caption. We know he has a way with words, but this was just a bit too amazing. 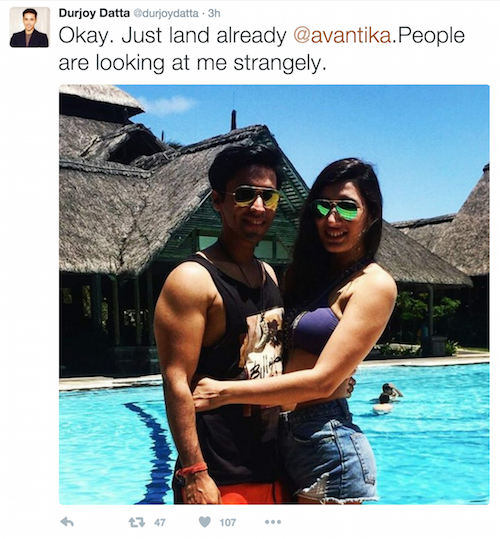 Here's what he had to say: "Here’s a totally natural picture of Avantika and I. It’s not posed for at all. Okay. Attention please. “This might be a little stupid but I got to try it. As lame as it may sound I haven’t really officially “asked” her (@avantii2) to marry me. Though she has kind of said yes and we are getting married. She alleges I’m too busy with my books, my readers, Instagram, Twitter or Facebook to formally propose her. Though that’s true, a part of the reason is also my overwhelming shyness to do something grand. So I’m doing what I do best. Hiding behind my phone and asking my readers for help! Okay, I know a lot of you will tell me I’m breaking your heart but seriously you girls can do better. Avantika has to put with the real me, not the one in the books. And that can be quite something. I'm not the best boyfriend or the best fiancé. Far from it. But she is. I think she's gorgeous but that’s the least attractive thing about her. She's kind and compassionate and understanding and is the only person I know who can love so deeply and so widely. She's unreal. She's nice to a fault. And I'm the luckiest guy to have her for a lifetime. She deserves much better. But let's not tell her that? And since I'm not leaving her anytime soon she will have to do with me. I might not be much but I do have readers who sort of like me? Do you? That's all I have. So I'm asking you guys. I'm counting on you. Ask her to marry me? This is the only time I wouldn't mind you spamming her. Ask her over and over again? This is the last chapter of Deb, who let’s be honest is me, and Avantika. Help me get my happy ending? P. S. - She's on a flight right now and has no idea this is going down. 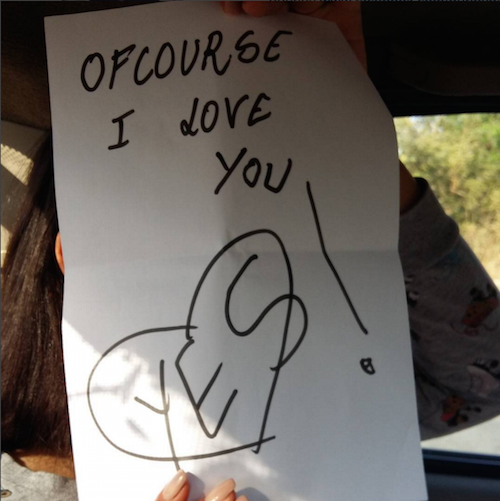 So help me bring the brightest smile ever on her face when she lands and finds me with a placard that says The Love Of My Life? That will be the most amazing thing ever. I love you guys. Just a little less than I love her. But yes, still love." Source: Durjoy Datta on Instagram And then he revealed one of the smallest details about his plan that made us start gushing! And he's still human, so of course he started to get a bit impatient as well. Trust us Durjoy, all those guys at the airport are only staring because you've basically planned a dream proposal! And, of course he couldn't skip the #BengaliSwag! And finally, after some unforeseen delays, she FINALLY landed and obviously said yes! And this super-cute picture of the same marks the beginning of the next chapter of their heartwarming love story. 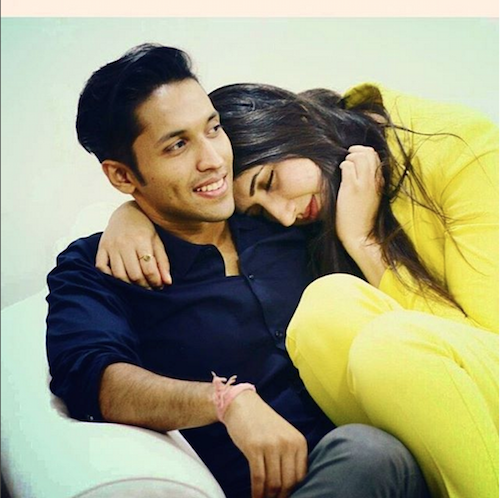 Source: Durjoy Datta on Instagram, Durjoy Datta on Twitter MUST-READ: #Aww: He Found The PERFECT Song To Propose To Her! MUST-READ: Underwater Proposal! What Will The Wedding Will Be Like? !